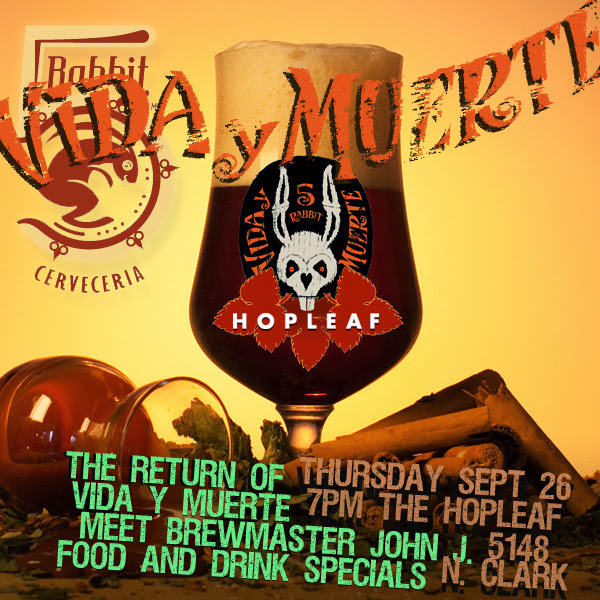 This Thursday 5 Rabbit will be releasing their seasonal "Vida Y Muerte", Day of the Dead Marzen-style beer. They'll be celebrating this release on Thursday, September 26th at the Hopleaf in Andersonville along with special guest, Brewmaster John J. Hall. The party starts at 7pm.